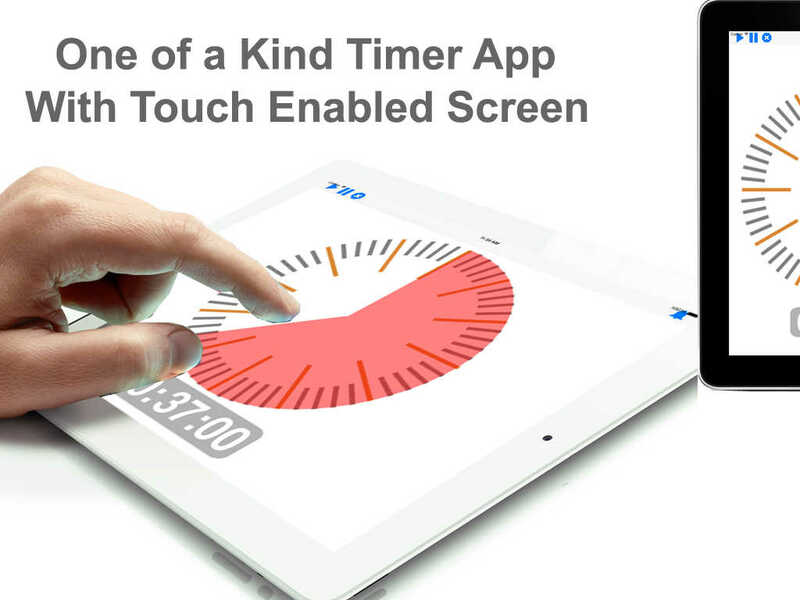 One of kind touch timer app. 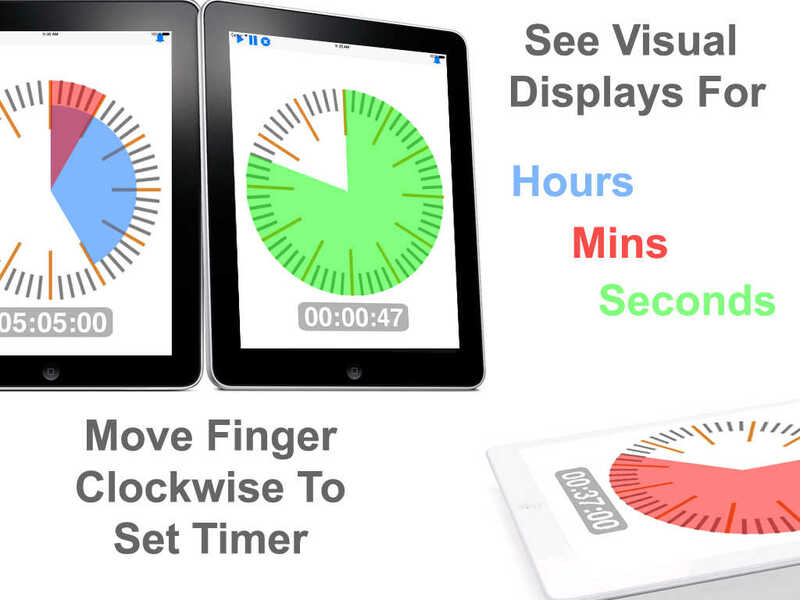 Set Timer with Just 2 touches. Easy to use and I continuously get compliments when I use it for training. More than 25 of my friends have it now. I am very excited about this app! I am a special education teacher -- and frequently need a timer throughout the school day for MANY various reasons. In addition to needing a 'regular timer', I also have many occasions when I need a VISUAL TIMER to help students understand the concept of time, time remaining, time that has passed, the time they have 'lost and/or earned', etc. ----SO this app is especially fantastic! AND during the summer, this timer will also come in handy with my daughter! I've only "tested" this out w/ a couple of practice timings--but so far so good. I am optimistic. If this app works like I hope, I am looking forward to telling my co-workers about it AND also having it loaded onto other iPads used within my program. So convenient...my autistic daughter loves it and helps her with doing things for certain time limits. 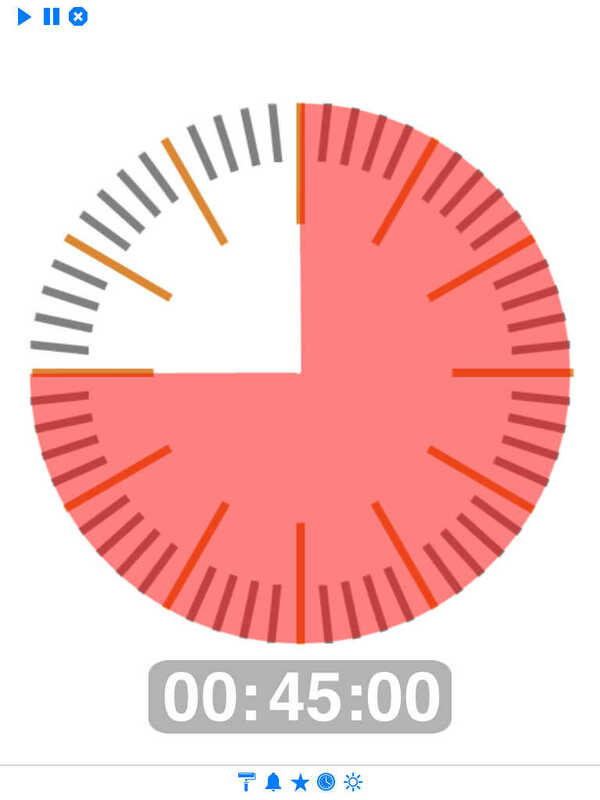 Make every moment count with this visual Timer App. 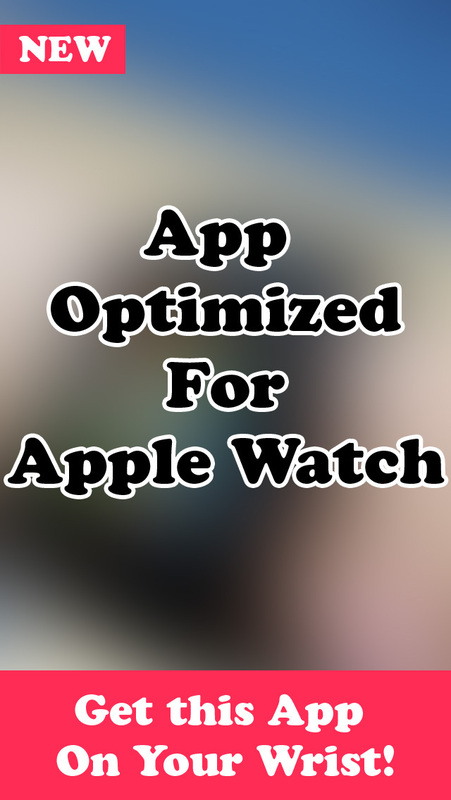 This is the most intuitive timer app available in the app store. 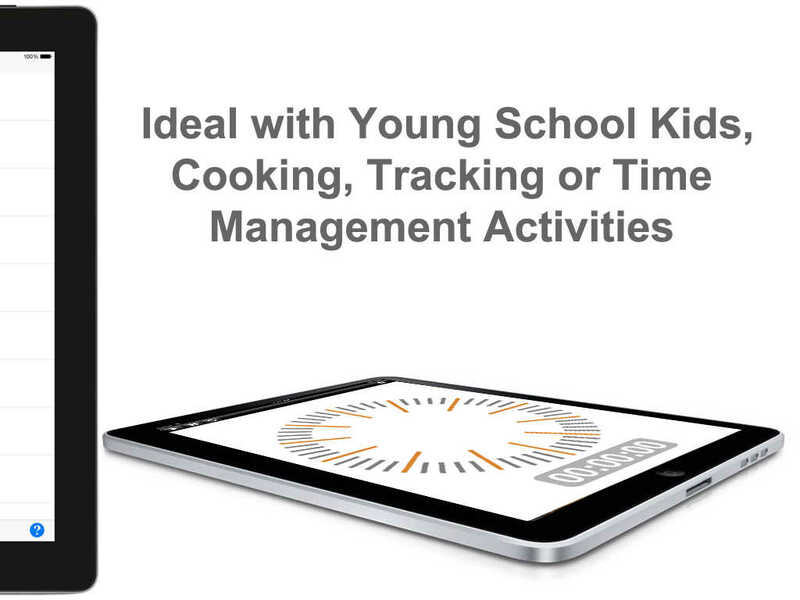 Touch the app and move your fingers in clockwise direction to set time. * Touch the app and move your fingers in clockwise direction to set time. 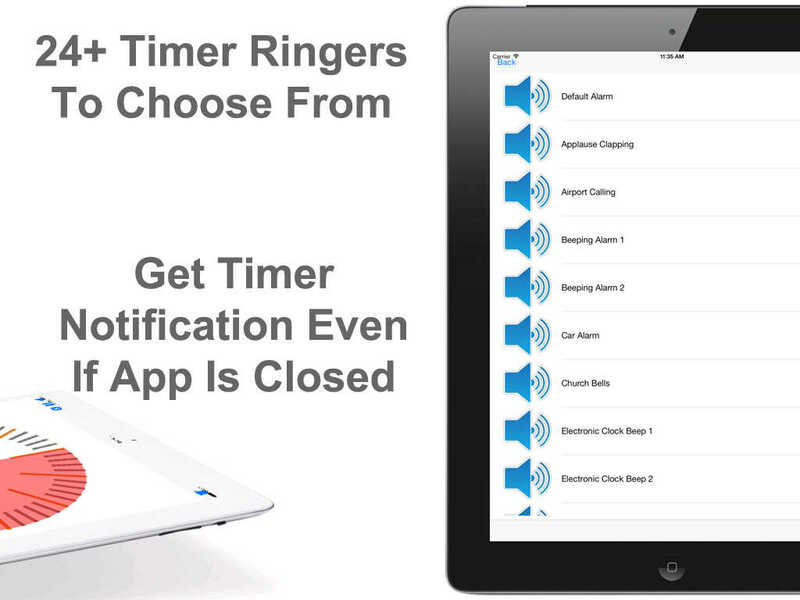 * 24+ alarm ringers to choose from! * Set timer up to 12 hours & 59 minutes. * Parents love it: Your kids will finally understand what “five more minutes” really means! * Students with Special Needs love it: Visual Timer help them “own” their tasks. * High-achievers with special needs use it for tests, therapy, college and work. * Teachers love it: Students can pla their work without the anxiety of a numerical count down. * So simple that even a kid can use it!